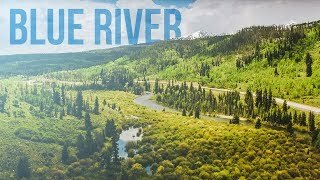 The Blue River in Colorado offers the closest rafting to Breckenridge, Keystone and Frisco with incredible scenery of the Gore Range mountains. If you’re visiting central Colorado, consider a Blue River rafting trip. 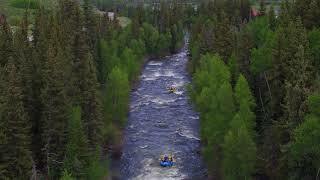 This exciting whitewater trip offers action-packed rapids and the incredible scenery of the Gore Range. The Blue River offers a fun whitewater excursion perfect for families, first-timers and those looking for a shorter adventure. The Blue River is home to incredible views of the Gore Range, family-friendly whitewater rafting and world-class fly fishing. Whether you are looking for a trip for the kids or a classic Colorado thrill, Blue River rafting trips are going to give you memories of a lifetime. Our Blue River rafting trip is a great trip for families. This trip starts out of Silverthorne, CO right off of I-70 near Breckenridge and is a 1/3 day trip, so your group will have plenty of time before and after your trip for hiking, biking, fishing and all the other great outdoor adventures that Colorado has to offer. 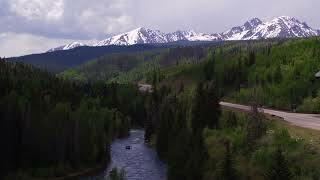 Our Blue River Express trip meets just 10 miles north of Silverthorne on CO-9 between mile markers 111 and 112. You will meet your guide and get geared up right next to the Blue River. 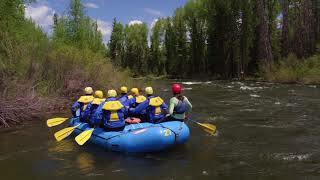 The Blue River rafting trip is just about 24 miles from Breckenridge and 77 miles from Denver. For your Blue River trip, be sure to wear clothes of quick drying material - so it's best to avoid cotton altogether. Wear shoes that can get wet, but know that they must also be secure to your feet. Crocs and flip flops are not permitted. We also sell water shoes that we can bring to the put-in if you're interested in purchasing a pair for the trip. The water is snowmelt, so no matter how hot it is outside, the water will be cold. Many people prefer to bring or wear wool or waterproof socks. You'll be spending time under the Colorado sun, so be sure to bring some sunscreen and sunglasses. Croakies are a great thing to have to secure your sunglasses. Many people also bring a hat to wear under their helmet to protect their face from the sun. Once your Blue River rafting trip is over, you'll want to change into some dry clothes. When can I raft on the Blue River? The Blue River is fed mostly by snowmelt, which means the season can vary based on amount of snow and when the snow fell. 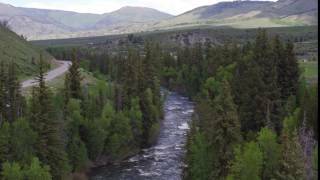 Typically, the Blue River runs best for rafting from May through July. How far away is the Blue River from Denver? The put-in for our Blue River rafting trips is located about 1 1/2 hours from Denver, just a few minutes north of the town of Silverthorne. The Blue River in Summit County, CO flows along the eastern slope of the Gore Range from Kremmling down south past Breckenridge to the town of Blue River at the base of Quandary Peak. 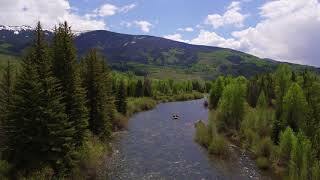 The Blue River is easily accessible from all Summit County locations as well as Vail and Denver. The Blue is also renowned for its Gold Metal fly fishing waters. Bring your gear and get in a day of fly fishing or hire one of the area’s highly experienced guide services to take you out. AVA can set up your Breckenridge fly fishing experience as well to round out your Colorado Blue River adventure! The Blue River Express rafting trip includes intermediate whitewater rapids perfect for families or first-timers. Because this whitewater river trip is short, it’s also great for those on a tight schedule or just wanting a taste of whitewater rafting in Colorado. This river trip takes places north of Silverthorne where rugged ranchland meets the Gore Range – a line of craggy peaks jutting sharply into the blue Colorado sky. Be sure to bring your waterproof camera to capture the majesty. The availability of the Blue River rafting trip is highly dependent on water flows as the river is released from Lake Dillon. It may be best to give us a call about when Blue River rafting will be available.